We have seen the revolution of coffee shops in recent years. From old-style cafes to coworking spaces with everything you need to sell coffee, cafes have come a long way. Going online is also something that many coffee shop owners do to get more business. However, it also presents some challenges. For example, putting a coffee shop online means that the visitors won’t have the same experience as in the physical shop; for example, they cannot smell the flavor and try the taste. To impress everyone visiting the website of your coffee shop, you need a gorgeous-looking website that reminds about the atmosphere of the real one. For that, you need to select a suitable CRM (content management system) template or theme. The list of the best CRMs compatible with e-commerce includes Joomla, PrestaShop, and Magento. Also, let’s not forget about WordPress. This platform powers more than 74 million active websites on the Internet (which translates into 28.9 percent of entire Internet), and is perfectly designed to meet the needs of your business. Below, you’ll find a beginner’s guide to creating a website for a coffee shop that customers want to visit. WordPress: easy to install, excellent support from developers, intuitive, and easy to operate. Joomla: rich functionality, superb support from developers and business consultants, and contextual help system for beginners. PrestaShop: strong community, a wide range of functionality improving plugins, created specifically for businesses. Magento: SEO- and mobile-friendly, multiple store management functions, scalable, unique Magento shopping cart. The second step is to install the CRM and select a theme. Making the right selection is very important because you want your site to be unique and represent the essence of your brand. 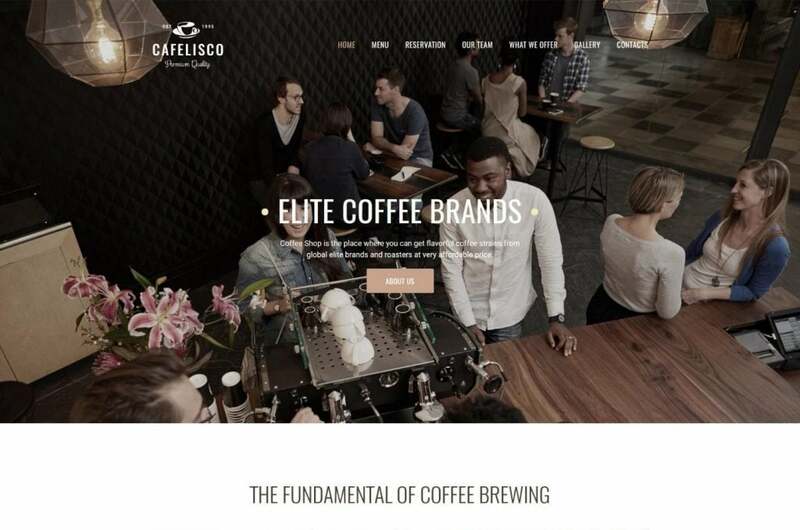 To help you make a selection of the best theme for your website, we have gathered four purpose-built options for a great coffee shop website. 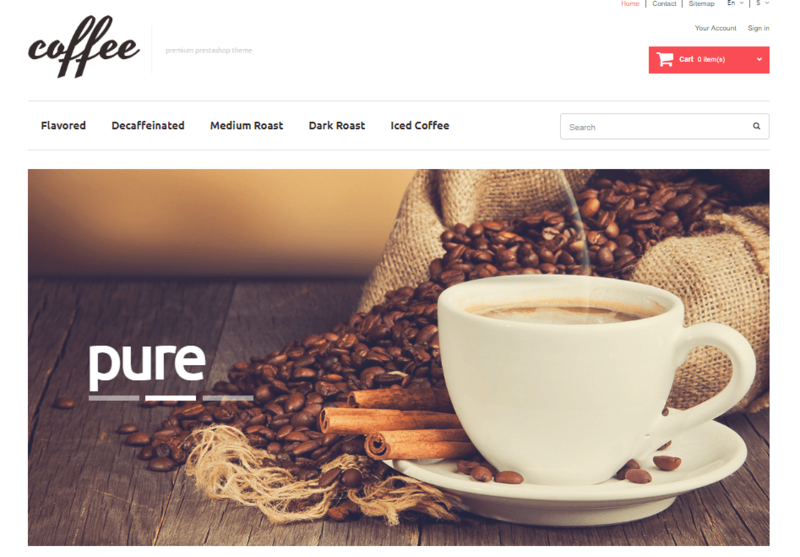 More amazing coffee shop themes can be found on TemplateMonster. An elegant and functional theme created for coffee shops and bakeries. It boasts some impressive features, such as scalability to any size, multicurrency support, megamenu, gallery, and more. Coffee Shop is widget ready and provides some menus, sliders, and headers to choose from. If you’re looking to expand the reach of your business, the theme supports translation to remove any language barriers. 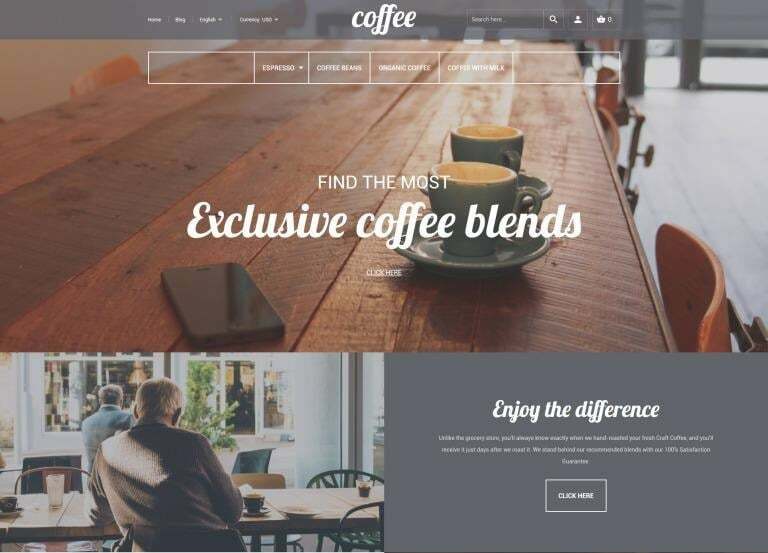 The success of this recently-developed theme for coffee shops can be attributed to a fantastic selection of homepage designs, simple layout, and user-friendliness. Booking, one-click import, customizable colors, café menu, useful widgets such as audio and video player, huge selection of fonts, lots of plugins, and fully responsive design are among the prominent features of this theme. The developers of Coffee for Freshness also provide a stellar support service, which was highly rated by the users. A free theme for coffee shops and restaurants. Fully responsive design and support of WooCommerce make it perfect for startups with a limited budget. 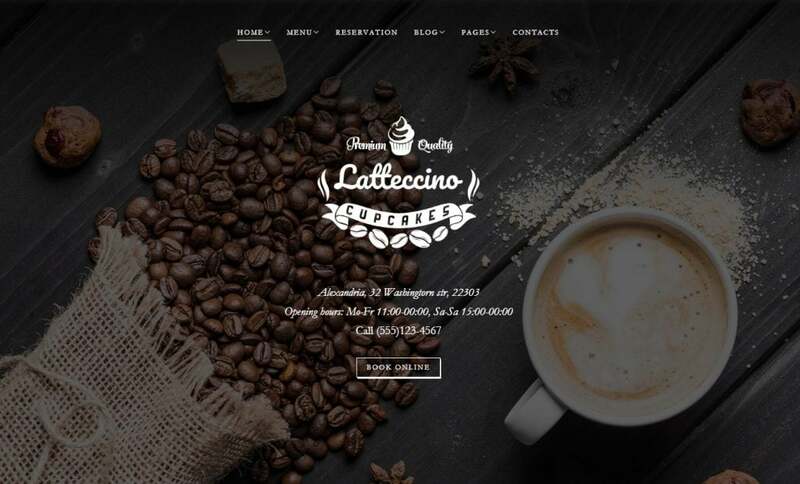 Latteccino is compatible with all the latest version of WordPress and has a simple and easy to use layout with all essential elements needed to run a coffee shop. More useful features include easy configuration and mobile-friendliness. It has been tested with different devices for resolution and cross-browser compatibility. A theme designed for a strong online presence. Coffee Maniacs has everything you need to ensure customer satisfaction, including menu, list-grid product view, product labels, pleasing clean look, and responsive design. A selection of plugins will help to showcase the products, order food and coffee online, and reserve a specific table in the café. Huge selection of Google fonts, lots of shortcodes for versatile layouts, easy customization, drag and drop page builder, video slider, back to top button, and multi-language support are other notable features of Coffee Maniacs. Configuring these themes is easy, as each of them comes with online documentation and excellent customer support. Drag & Drop options, as well as other configuration tools, make the process of customization very easy and enjoyable. We have provided live demos for each theme for you to check out and see whether they are perfect for your coffee shop. So, make your selection, create a strong online presence, and let your customers enjoy your tasty coffee every day!